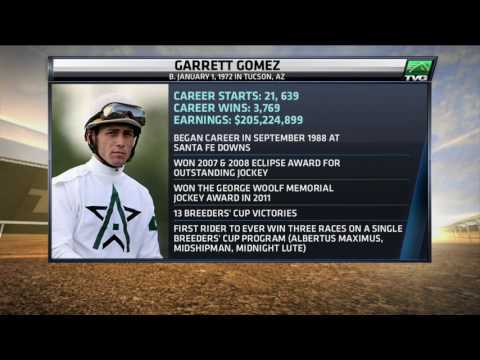 Garrett Gomez was a brilliant talented jockey who left his mark in racing history books. This Discussion was created to share "GoGo" moments & thoughts. After a long absence from the sport, multiple Eclipse Award-winning jockey Garrett Gomez made his retirement official June 8, more than a year and a half after his most recent start. 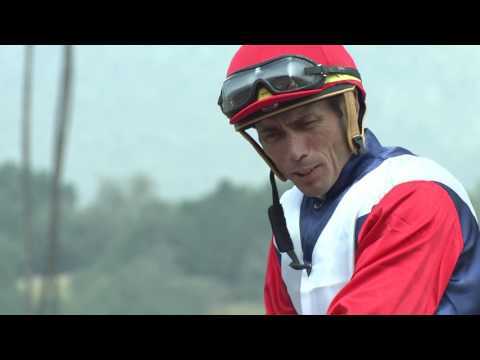 In a post on his Facebook page, 43-year-old Gomez finally answered the question the racing industry has been asking since he took off mounts in October 2013, never to return again. 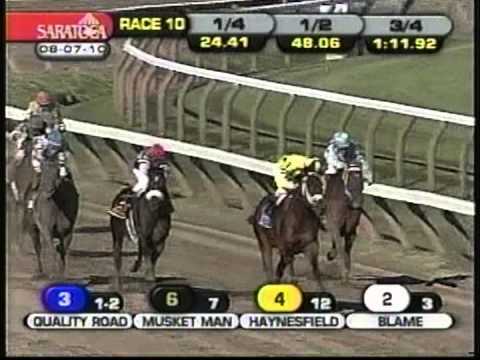 2010 Breeders' Cup Classic aboard Blame while defeating Horse of the Year Zenyatta. His record-setting career included breaking Jerry Bailey's record for most stakes victories in a season (76 in 2007), and four years spent as the nation's top jockey in earnings. He won the Eclipse Award for outstanding jockey in 2007 and 2008, and was given the 2011 George Woolf Memorial Award by his peers. Gomez retires with 3,769 wins from 21,639 starts, with 3,329 seconds and 3,015 thirds. His mounts earned $205,224,899 in a career that spanned 1988-2013. "I would like to thank everyone in the sport of horse racing for all the support I ever received in my career. I enjoyed every horse I ever rode and I thank all of them for making my career," he wrote. "I'd like to apologize to all my fans for leaving the sport the way I did. Sometimes you have to do things in life for yourself." Gomez left the saddle in October 2013 -- his last mount was Oct. 5 of that year at Keeneland -- after struggling through the summer with the substance-abuse issues that had plagued him for part of his career, including 2003 and 2004 when he did not ride at all. From June 9 through July 14 in 2013 he rode only four days due to "family issues," and he participated in counseling in late July into August of that season before he was permitted to resume riding at Del Mar. He was suspended by stewards pending a hearing the week of Oct. 10 at Santa Anita Park in 2013 after calling in to take off his mounts, and did not ride again. 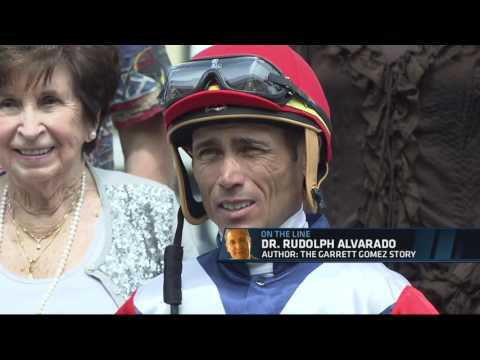 Along with Rudolph Alvarado, Gomez is the co-author of "The Garrett Gomez Story: A Jockey's Journey Through Addiction and Salvation." 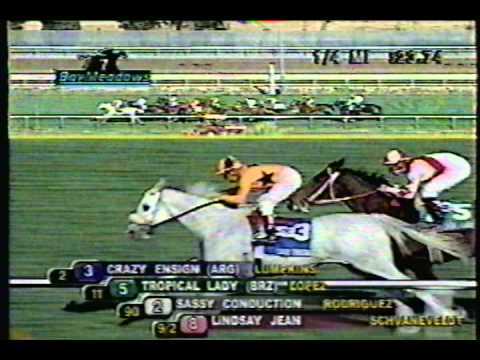 Beholder winning the Juvenile Fillies with Gomez aboard. The last great memory was go go riding the very young and very talented beholder. 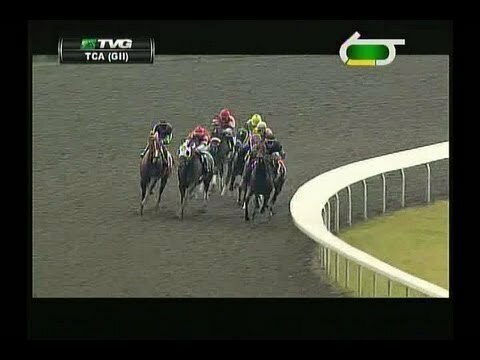 He was always, always...a must in many exactas and tris. That dude could get long prices. The thing that always resonated most with Ron Anderson about Garrett Gomez is how much his former rider cared—how much he cared for the 21,655 mounts he guided to a total of 3,771 victories, how he cared for his comrades in the jockeys' room and the clients he rode for, how he seemingly put everyone and everything above himself. Just watched three thrilling races. Beholders juvenile was a beautiful ride, very athletic. Gomez was a piston,seemingly attached to her heart. It was sad for me when he retired, but it is much more than that now. My heart goes out to his family and friends. I hope he has found peace at last. What a loss to all of us, but especially for racing community and his family and friends. Sounds like he was a gentle soul and a brilliant horseman and kind rider. Rest young man; I won't forget you nor will others. Crazy Ensign (Arg) to take the 2002 $61,100 Hillsborough Handicap at Bay Meadows under Garrett Gomez for trainer Roger Stein. In a battle of the two highest-ranked male handicap horses in the nation, Blame closed relentlessly through the lane to nab front-running Quality Road by a head in a thrilling Whitney Invitational Handicap (gr. I) at Saratoga Aug. 7. RIP Garrett Gomez. Great jockey.